Intriguing storylines, palpable performances, distinguishing voices and glimpses of various fascinating forms – a theatre festival is supposed to bring us all of this. And big banner theatre festivals – Kala Ghoda Festival (which has a large theatre strand), Hindu Theatre Fest, Parks New Festival, Vinod Doshi, festivals at the NCPA, Prithvi, Rangashankara, Shri Ram Centre etc – often do. These festivals can become an audience’s only way to discern what is happening out there – in the larger world of performance. And so we must, as artists and practitioners, attempt to understand the festival culture of India. 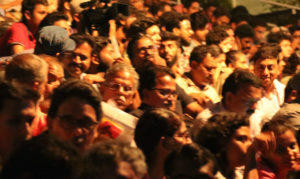 We can all agree, that theatre festivals develop the performing arts culture – by allowing the audience to explore various works within a capsule of sorts. They are a giant step towards creating and sustaining vibrant cities and towns. But we also know, that there is no national list of festivals or universal categorization of their work. Several brilliantly planned festivals create original programmes for a diverse audiences one year and disappear the next because a sponsorship fell through or demonetization happened. 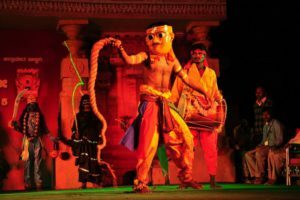 Whereas several others like the Siddharth Festival at Bodh Gaya or the Hampi Festival in Karnataka offer performance as one of several items on larger cultural platter. They manage to sustain yet don’t feature on any avid festival-goer’s itinerary. So how do we assess these festivals? How do we pool our varied experiences of them to create a bank of information for the uninitiated? How do we know if festivals serving the arts or are they just wasted opportunities? As part of this article, we did a small survey with fellow theatre practitioners and festival organisers to know what according to them makes a theatre festival worthwhile. Being called for a festival encourages theatre groups to keep their shows alive. Large festivals invest money into a cash-strapped art environment and create opportunities for various companies, groups and traditional practitioners. It’s a plus because no one can really afford to do extensive runs of their productions. And it is through this network of theatre festivals that many groups are getting a chance to perform at various destinations across India – from swanky auditoriums in metros to constructed stages around the country-side. Large festivals – especially those backed by believers in the arts – don’t just offer performance fees, but also cover travel and production. But dealing with some festivals can become an ordeal. Amidst all the planning and hectic schedules, the human element of a traveling troupe often falls through the cracks. Festivals may bring together performers from the four corners of the country, but rarely do they help facilitate any artistic exchange of value between these artists, or between the artists and the local performing arts community. Also, an effort to initiate the audience into engaging critically with the performance – one that goes beyond mere post-show discussions – needs to be made. According to our survey, festivals in India seem to lack vision and a strong curatorial calling. Theatre festivals mainly work on an application model and not a curatorial model. Festival directors or artistic teams do not watch work live before inviting it. At most, a committee may watch videos to decide what to select. But, how can one decide from watching a video if a play is worth sharing? This may be the last resort but it’s quite absurd for this to be the only way theatre festivals get curated in the country, were some of the remarks from our survey. It is important to note here that a festival like Thespo has established and sustained a practice of sending a pair of curators out each year to multiple cities to watch each and every youth group that applies to the festival. The traveling curators don’t just watch the plays but also share critical feedback with the teams – an invaluable contribution to their growth as theatre artists. It may make perfect sense, but most festivals can’t afford to send a curator on a year-long quest for theatre of worth – which is a concept that few festivals have defined for themselves anyway. It’s a chicken-egg problem really. And so, it’s not surprising that those surveyed also complained of rampant favouritism in big festivals – a common replacement for curation in any industry. A challenge for the ages is the struggle for audiences. Sit long enough at any theatre katta and the conversation will swing around to how no one watches plays anymore, how it’s a task to bring audience to the theatre and how theatre has been dying because of this for centuries. The arguments are had, heads are shaken in disappointment, the chai and Parle-G are finished and everyone heads back to the rehearsal room without addressing the elephant in the room – Marketing. Festivals need to accept that sustainable viewership is the only way to sustainability. Yet, if the recent Theatre Olympics were anything to go by – where most of us only heard of the festival with an article in the Hindu a few days before opening night and several beautiful productions were played to empty auditoriums – even at the highest level, we don’t understand the value of outreach and advertising. And the key point to remember is that the knowledge and expertise to do this successfully exists within the sector itself. A growing breed of arts managers and producers are being trained by programmes like SMART and ATSA and festivals needs to start hiring them. Because how do we activate the spaces we work with through-out the year? How do we advertise theatre? How do we get audiences of all kinds to walk into the theatre with ease? These are the questions that festival organisers don’t seem to be asking themselves. The talk of hiring arts managers and arts marketing experts brings us to the question of festival teams. 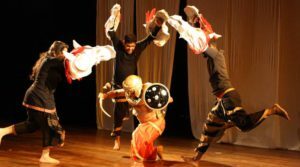 Who does most of the work and who is responsible of taking care of all that happens within a festival that can stretch to almost a month as in the case of the International Theatre Festival of Kerala? While the roles of artistic director and committee members are generally filled, the ground work of coordination and execution usually falls to volunteers. And as the volunteer and intern pool changes from millenials to Gen Z, who are by definition more aware of the opportunities and needs for their skills, festivals need to ask themselves if they can rely solely on volunteer labour to pull an entire festival through. Because at the end of the day, it is difficult to ask people to stay passionate and committed to an exhausting endeavour with no monetary compensation. It leads to changes of teams every year and a loss of vital organizational knowledge that builds a professional work space for the performing arts. And that of course brings us to the final challenge. Every festival in India is a subsidy model. Which basically means that audiences pay a fraction of what the festival actually costs to organize and produce, through ticket sales. Now, let’s be clear, there’s nothing wrong with a subsidy model. It makes theatre accessible, it makes it a public form of art – which many would contend was what it was meant to be. But let’s also consider that there is nothing wrong with festivals making money for the artists and themselves. Theatre as a business must stop being an abhorrent concept, received with suspicion and raised eyebrows. Being funded by the Government like the arts are in certain developed countries, though a worthy ideal, for most Indian theatre-makers is a pipe dream. But if the Kochi-Muziris Biennale is any indicator, the arts can make money for the country, just like tourism. And thus, it becomes crucial for theatre festivals to start building their revenue model, and not as a closed discussion in small offices, but as an inclusive conversation with the artists, performers, crew and audiences. None of these challenges preclude the possibility of a robust performing arts culture and festival space in India. Because theatre, at the end of the day, is built first on one thing that few other art forms can lay claim to. Community theatre festivals offer interesting sustainable alternative methods towards addressing the challenges listed here as well as the numerous issues plaguing the performing arts sector. Much like permaculture and sustainable models of living are creating a shift in the way livelihoods conventionally operate, so too are local, community-driven initiatives for the arts creating massive impact on small scales. Acknowledging that rural communities are proactive agents of change, the growth and execution of community theatre activities can bring people together to talk about these matters at large. Community-driven festivals are great at fostering social transformation. 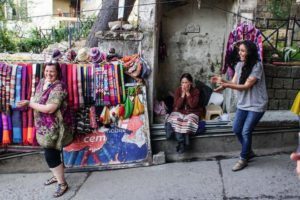 The Dharamshala Residential International Festival for Theatre has actively been engaging locals in creating theatre by and for themselves. 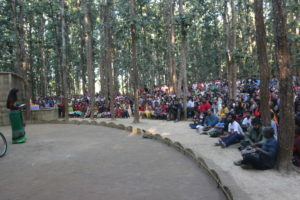 Under the Sal Tree managed to get plays from Brazil, Korea, Poland and Sri Lanka to a mud-stage in the Sal forests of Assam. Tantidharti is a travelling festival that continuously experimenting with strong issue-based scripts and vocal feminine voices. Because they’re held in different states and cities, each of these festivals comes with its own flavours and features imbibed from the culture around it. Additionally, they explore a myriad palette of talents and styles of theatre, making it an experience that people would not want to miss. In conclusion, the fact is that we see new festivals emerge every year. Venues and theatre spaces have taken on the onus of organizing festivals. Even individual theatre companies have started organising their own theatre festivals. 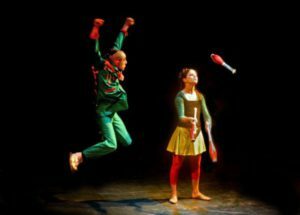 The Tifli International Theatre Festival For Young Audiences and the Hyderabad Children’s Theatre Festival are laying the foundation for a children’s theatre in India. 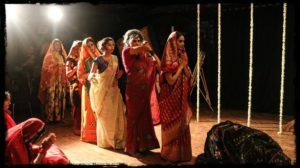 There are festivals for Playback Theatre and Solo Theatre and Marathi Musicals and New Directors – the field is opening far and wide to cater to all kinds of performers and audiences. Considering the speed at which the festival culture of India is evolving, there is a dire need for an open culture of discussion and transparency, good curatorial choices and a participatory environment in which the practitioners can mingle with each other. That’s what makes a festival strong. More and more networking opportunities where artists can meet curators, and vice versa can help in collaborations setting up a ground for much democratic and systemised working environment for the performing art industry. And each of us needs to do our part to facilitate this. We would like to thank those who took part in our survey about Theatre Festivals in India. And now we would like to know what you think. Do share your thoughts, experiences and comments with us through mail or in the comments section below. Also, if you would like a free festival calendar, please do click this link.